Looking for chicken recipes? Why not try this special chicken recipe. 1. 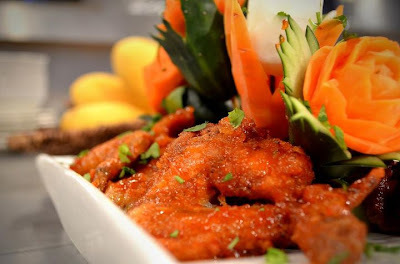 Mix chicken wing with marinade and marinate for 30 minutes, deep frying hot oil until golden brown dish and drain. 2. Heat up 1 tablespoon oil and sauté onion until fragrant, add in sauce and bring to boil until thick. Add in fried chicken wings and mix well. Dish up and serve. Thanks for sharing your ingredients! they are amazing and this one is really a hit from your blog, I discovered and appreciated much more recipe.